Wasn't sure if I was going to need a headlight this morning as I headed out to meet Rick for a quick Ride Before Work at Upper Paugussett at 6:30 am. By this time, however, it was light enough so that lighting wasn't necessary but I think I am going to have to keep the Light and Motion charged as afternoon lighting starts to wain. Caught some video of Rick on the new log ride. And then he shot some of me, too. 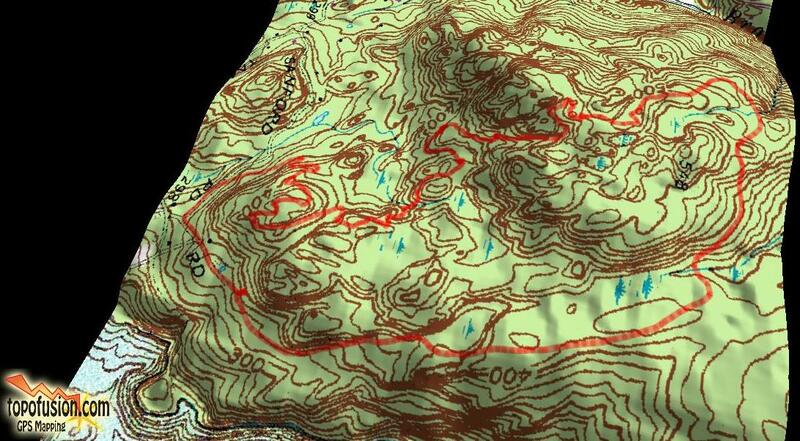 Below is a 3-D view of the basic loop at Upper Paugussett or what I call the Echo Valley Loop.